Q. What can I do from the Home screen in Zoom? Once you have logged in, you will see the main dialog box as shown below. The default tab is "Home". 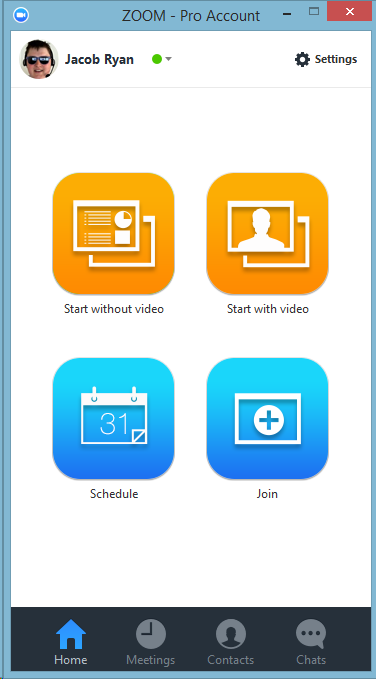 Click on Start without video to start a meeting sharing your "desktop" or "application"